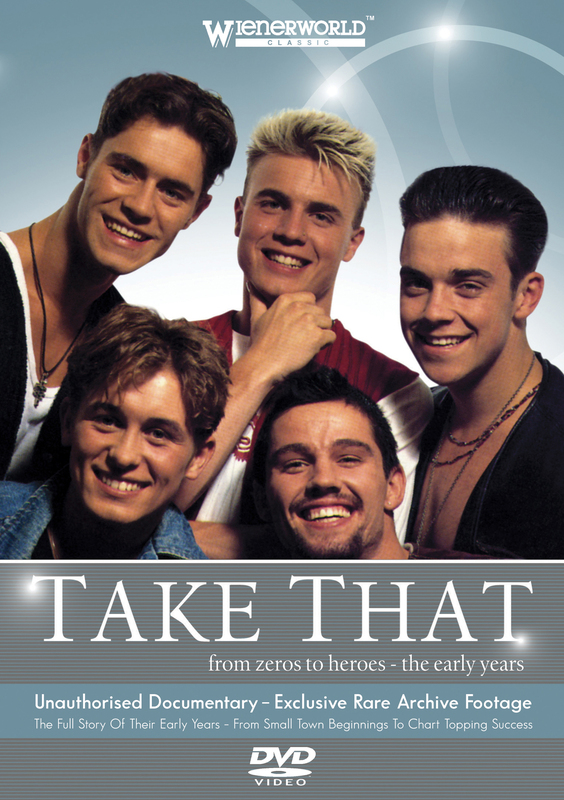 The definitive account of the early years of the UKâ€™s biggest boy band. Gary, Howard, Jason, Mark and Robbie Williams - five Manchester lads who became the biggest band in the land, Take That. They hit the big time in 1992 with their cover of Tavares' "It Only Takes A Minute" and instantly become a media sensation. Not since the Beatles had the UK seen such popularity thrust on one band. This DVD tracks their explosive rise to fame from their small town beginnings to superstardom. It features exclusive rare archival footage including many of their early TV interviews. Launched as the UK's answer to New Kids On The Block, Take That set the bench-mark for all-singing, all-dancing boy bands. This is the definitive account of their early years.